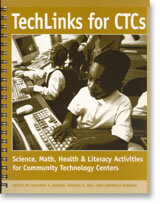 Use the links for Activities 1-34 below to view and print worksheets for exploration of a variety of science and mathematics topics. Each worksheet lists the activity's educational objectives and defines the underlying science or math principles. Worksheets also provide guidelines for performing the activities, lists of materials, questions for focusing the student's learning, suggestions for tailoring activities for students with disabilities, and optional resources for expanding the topic. The worksheets identify the targeted age groups for each activity, but most of the activities appeal to all ages.